Live in the moment and get what you want. Easier said than done of course, but an ideal I aspire to each and every day! Living in the moment comes down to being awake and aware of what you are thinking in the moment versus being asleep or in a trance, as many of us are. If you are asleep you are effectively under hypnosis – you are reacting with old emotions and blindly following the masses. This moment ‘now’ is brand new, pure and unpolluted. Be aware of your thoughts, emotions and use the power of ‘the now’ to create what you want. You’ll use the moment wisely with precision and intention to get what you want. Only awareness can do that. If you want life to be different in the future, then the time to act consciously is NOW. So, how do you know if you are in the moment? It’s simple – if you are aware of your thoughts and emotions, then you are present and in the moment. Create what you want now and you’ll naturally move into a future of what you want. You live in a constant state of joy when you’re in the moment. This is because in the ‘now’ your old emotions, dislikes and problems cease to exist – they can’t exist. These hamper your dreams and removing them paves the way for what you want. You think for yourself. You decide what is good for you in the ‘now’. You won’t blindly do what others do, you won’t do what they think is good for you or feel that you must impress others – not family, friends or colleagues. Whatever you do when you are ‘now’, you do it for you. If you need help accepting this then read 5 Reasons You’re Not Asking For What You Want. You are not afraid. Nothing can hurt you in the moment, there is no fear; you are calm. You take responsibility for your life, you don’t need approval from anyone; you live your personal truth. 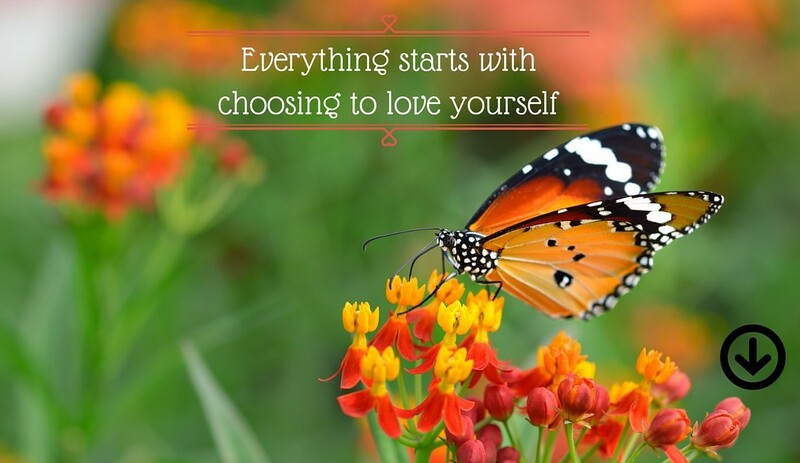 You feel worthy – you’re at peace with yourself in the ‘now’. Your self-esteem is intact and your opinions of yourself are in the past. You achieve more in your day because time doesn’t exist in the moment. You go beyond time. You are strong and healthy in the moment because illnesses or diseases can only be part of your life in the past. They disappear when you are truly in the moment and are fully aware of what you are thinking. You are free in the ‘now’. In the past we fear what others think of us and their opinions are important to us. But in the ‘now’ none of that matters – we allow others to think what they want, be what they want – and we allow it for ourselves too. You are open-minded. When new information arrives and you’re in the ‘now’ it’s exciting and like an adventure. You’re open to trying it. A closed mind comes from fear and fear lives in the past. You are humble. There is no winning or losing in the ‘now’, everyone is equal. Everything that has ever happened to you is now in your past (if you so choose). Choose to keep the wisdom but put the emotions and events to rest. Even if they are happy memories, you can choose from this moment for life to be even greater. To have even more fun. Why limit yourself to a level of happiness you used to have? If you can imagine something even better, then you can have it. But you must consciously decide to have it, be conscious about what you’re thinking and therefore make it happen in the NOW. Next: Living in the past is hazardous to your bright future. Read the next post The 5 Hazards of Obsessing About the Past to find out why. Part 3 – How do You Know if You Are Living in the Past? You are precious, remarkable and worthy of having anything you want. Everyone is. 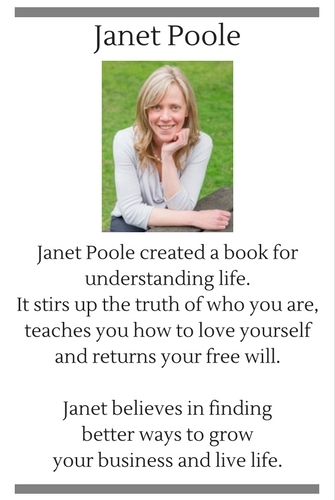 Author Janet Poole breaks with the traditions of today and reveals the hidden truth of ancient wisdom; that you are the most important person in your life. 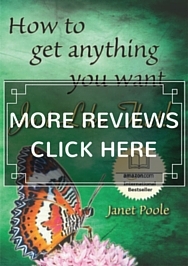 Check out Janet’s book online “How to Get Anything You Want – Just Like That! “. Most people are too distracted trying to cope with the immensity of what they think is expected of them. 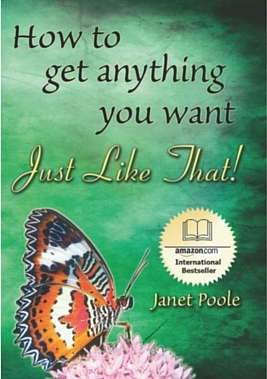 The book provides an in-depth, practical approach to aligning your thoughts with what you truly want. 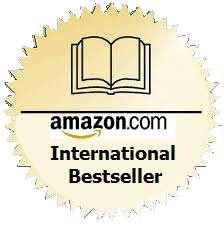 The book also makes a great gift. This is Janet Poole; I believe there are better ways to delight your customers and inspire your staff.